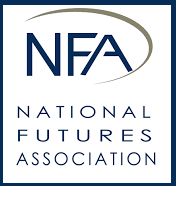 The US National Futures Association is deservedly considered one of the most respected regulators. It is responsible for licensing NFA Forex Brokers that are operating in the financial markets. 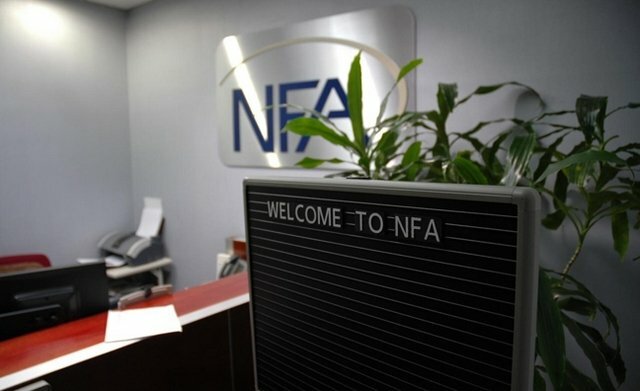 To undergo this procedure, the NFA regulated Forex Brokers must meet certain requirements and comply with the rules established by the organization. 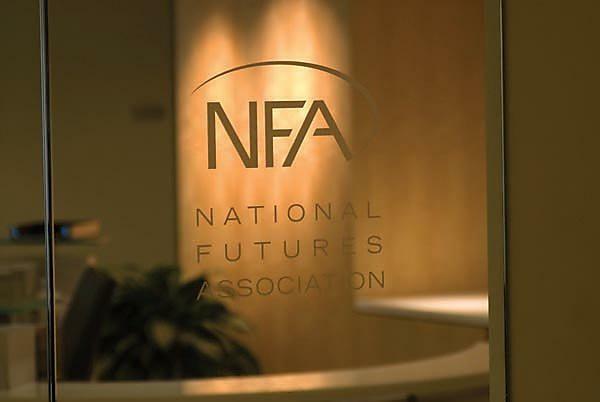 NFA is regulated by the US state structure CFTC. This ensures that the NFA regulated Brokers presented in our listing will provide the best terms for reliable trading. The global financial crisis of 2008 revealed some of the loopholes in financial regulation and management of companies in the banking sector. It was at this point that most governments and policy makers started to put in place measures that would help to regulate and reinvigorate the financial system. The US was not different from other countries. A significant number of people had lost their homes, savings and even investments due to the poor management of the large financial entities. After the global recession in 2008, the US government saw the need to institute a single entity which would regulate all the Forex brokerage companies that were under the jurisdiction of the United States. Even though the NFA has been in existence from 1982, it was only in 2008 that the body was made responsible for regulating Forex brokers and the futures market among other financial bodies. The entity was formed as a self-regulating group that would help to streamline the futures industry in the US. NFA’s headquarters are located in Chicago but the organization also has another office along Wall Street. It is worth noting that NFA regulated brokers are the only brokerage companies that are allowed to operate in the US. International brokers who may be regulated by other regulatory bodies are advised to shun away/ banned from offering Forex brokerage services to US clients. Also, any NFA regulated brokers are also expected to register with the CFTC while also ensuring that they adhere by any rules set out by the CFTC. While the stringent rules and guidelines set out by the NFA are known to curtail the freedom of traders, they highly improve their level investor protection. This is because the NFA sets out higher standards for each broker in a bid to ensure that there are little scams of malpractices carried out by these brokers. The NFA conducts a number of duties in its bid to ensure that investors are sufficiently protected from the different types of fraud in the market. One of the primary roles of the regulatory body is to protect and promote the transparency and integrity of the US financial markets. Since rapid investment creates a vibrant economy, having many individuals perform in the financial market will lead to sound economic growth. It is, however, worth noting that the NFA is not only responsible for the integrity of the financial markets but also for the market participants in these markets. Since they are also responsible for the protection of retail traders, they must create rules and regulations for all the forex brokers in their jurisdiction to follow. Licensing and supervision is another critical role of the NFA. For this entity to protect the integrity of the financial markets, they need to institute rules and make sure that all the forex brokers follow and adhere by the rules. The body also has enforcement powers and will often place heavy fines for any brokerage company which violates any policy or regulations that the entity places. Since the NFA is an independent organization, one way they get their funds is through imposing fines on brokerage entities that are non-compliant with the set regulations. In addition, any forex broker who engages in financial malpractices or who runs scams on their clients are imposed with heavy fines. While the need to generate funds through penalties and imposing fines may seem to one of the major ways through which the organization collects funds, the NFA regulator does not impose penalties and fines haphazardly. In fact, one of the primary roles of the NFA is to ensure that forex brokers and other financial entities are educated on some of the best and ethical financial practices. 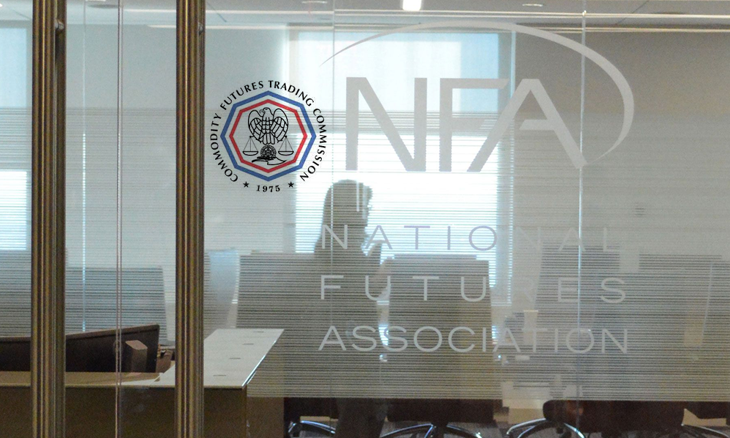 For example, the NFA conducts a number of programs that aim to educate both traders and brokers on the ever-changing trading platforms. Furthermore, the NFA is also willing to work with all the brokers under its umbrella to ensure that they are in compliance with the set regulations before any sanctions are imposed. Any member that wishes to join the NFA will have to go through a comprehensive screening before they are registered. Since integrity is at the cornerstone of the NFA principles, any potential member will have to go through both professional and personal background checks. This includes all the forex brokerage companies and even the individual staff members who are working at their premises. Any person who wishes to be registered as an individual will also have to pass through a number of exams to establish their level of proficiency. So what do you need to become an NFA regulated broker in the US? The US forex regulatory authorities are known to have stringent rules and conditions especially for the companies or individuals who would like to start a brokerage firm. As stated above, these conditions may seem too strict but they are there to ensure that investors are sufficiently protected and do not experience scams or malpractices that are common in most jurisdictions. Capital requirements - Brokers in the US are known to have some of the highest minimum capital requirements in the world. NFA regulated brokers in the US are expected to hold an upward of $20 million in capital reserves. The main rationale behind this is to ensure that the position of every broker is guaranteed and that any withdrawal requests made can be swiftly processed. There have been instances, in other jurisdictions, where forex brokers have been unable to meet the withdrawal requirements for their clients. In such an instance, the investor confidence in the market is highly eroded. FIFO rules - FIFO stands for the first in, first out rule. Under this rule, the regulatory body requires that a trader should liquidate their first trade when they have multiple trades that are open in one currency pair. Since this rules applies to the members of the NFA, it essentially means that all the Forex brokers in the US are required to follow this rule. Leverage - Leverage is a useful tool that traders can use to maximize their profits when trading but it can also magnify a traders losses if it is not used properly. The NFA requires that all the brokerage companies in the market should have a ceiling of about 1:50 when it comes to leveraging the currencies market. You should, however, note that European brokers do not have such restrictions and are even allowed to apply a leverage of up to 1:2000. Hedging - This is not allowed in the US and all the forex brokers in the region are instructed to prevent traders from making any hedging strategies in the FX market. In the event that a traders successfully implements this strategy, any profits that accrue from the trade will not be recognized in the account. Stop and Limit orders - The US stopped the use of the stop-loss order in favor of the OCO (Order-Cancels-Order) form of execution. This is especially suitable for any trades that have a pending order. Unlike most of the regulatory bodies around the world, the NFA actually allows any trader or member of the public to review the membership status of a broker. This helps to determine if that member is in good standing or has a good professional relationship with the regulator. You can easily do this from the NFA website where an investor can check the broker’s standing using the name of the brokerage firm, NFA ID number or even their pool name. Getting the ID number of an NFA regulated broker is relatively easy. All the members of the NFA are required to stae their ID numbers in their respective websites to promote integrity. The results will show whether the broker is approved by the NFA and if it is in good standing with other related entities. Forex capital Markets was started in 1999 as a forex brokerage company in the US and it was one of the first FX companies to be on the frontier of online-based trading. Its headquarters are in New York but the company has a number of smaller offices in the UK, Italy and even France among others. It is also a publicly exchanged company on the Nasdaq and has been listed as one of the fastest growing companies for three consecutive years. FXCM review shows that it is regulated by the NFA and other regulatory bodies in foreign jurisdictions, making it a reliable forex broker. This is a financial services company that is largely known for Forex, CFD and market maker trading. The company has been in existence for more than 20 years as it was incorporated in 1996 in New York although the firm has its presence in other markets such as Canada, Asia and Europe. It was among the pioneering companies to offer free information on currency exchange rates over the internet. Currently, it is known to be one of the largest and most reliable databases of currency exchange rates as it handles more than 1 million currency inquiries each day. Being an NFA regulated brokerage firm, you can safely rely on Oanda to offer you excellent services without the fear of scams or other financial malpractices that are common in FX trading. This is a derivatives exchange located in Chicago. It is suitable for a select number of retail traders since it offers relatively small-risk products. It is, however, part of the IG group which is an international financial firm with a market capitalization of about £2.2bn. It is based in the US despite also offering binary options. Traders at Nadex can access more than 2,400 binary options for some of the common financial instruments such as indices, currencies and even commodities. Since it is regulated by the NFA, you can be sure that it is a reliable forex broker than those found in other jurisdictions around the world.